A - B - Seymour: Welcome to Blog World and Freebie! The first freebie I'm posting is my Poetry Notebook Cover and Table of Contents. I created this for my first graders this year and they love it. I hand out two poems every week. The first one is usually a holiday or seasonal related one. 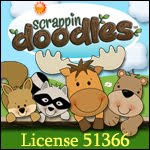 It's too much fun to read a rhyming poem and add some motions to it! I don't always pick a rhyming poem, but they love them! Then, the second one I pass out is usually about a word family or contains certain sight words that we need to practice. We highlight words that we need to practice and of course we LOVE getting out our highlighters!!! I hand out the poem and my kiddos know how to put them in their Poetry Notebook and they write the title on the Table of Contents. They also add a page number to the bottom right hand corner. This helps us find our poems faster when we go back and read older ones. 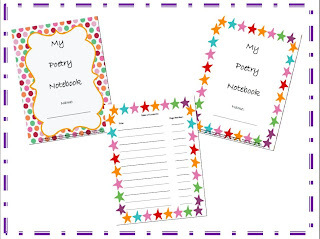 My kiddos take home their Poetry Notebooks every Friday to read over the weekend. I tell my parents at the very beginning of the year that it's not homework, but something fun to read. My kiddos love to share their new poems so they don't even think of it as homework. I also give a small reward for reading over the weekend! Every little bit helps! Just found your blog and it is SO cute!! :) Love the freebie - thanks so much! Your blog is adorable! I love your poetry journal cover. I use a poetry collection I found at Just4Teachers (I think that's the blog name?) that follows our Treasures series, which is so awesome. I think next year I want to put them in an actual journal format too! Do you use folders, or how does that work? ...just found your cute blog and LOVE the name....very clever! Please come and join my little piece of Dreamlike Magic at http:///www.aplusfirsties.blogspot.com! Has anyone warned you about addictively fun blogging can be? Enjoy! What a cute blog! I just had mine redone by Dreamlike Magic. Welcome to blogging! This is a great *freebie*!